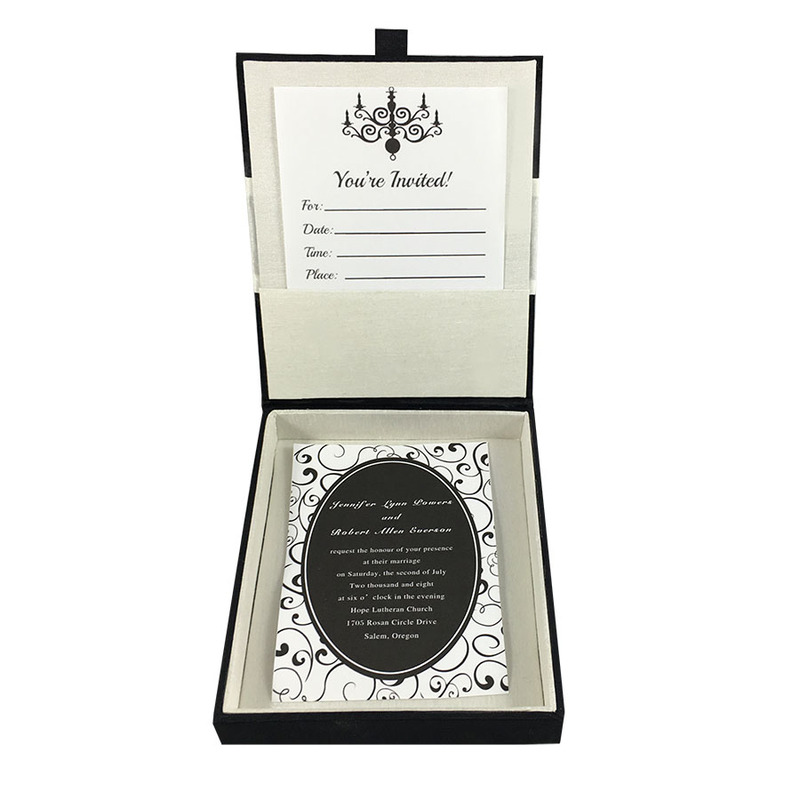 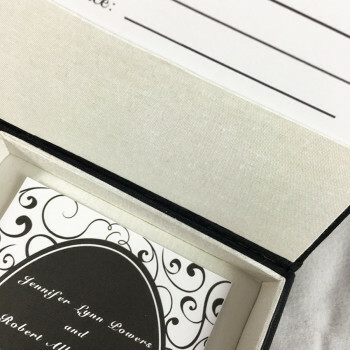 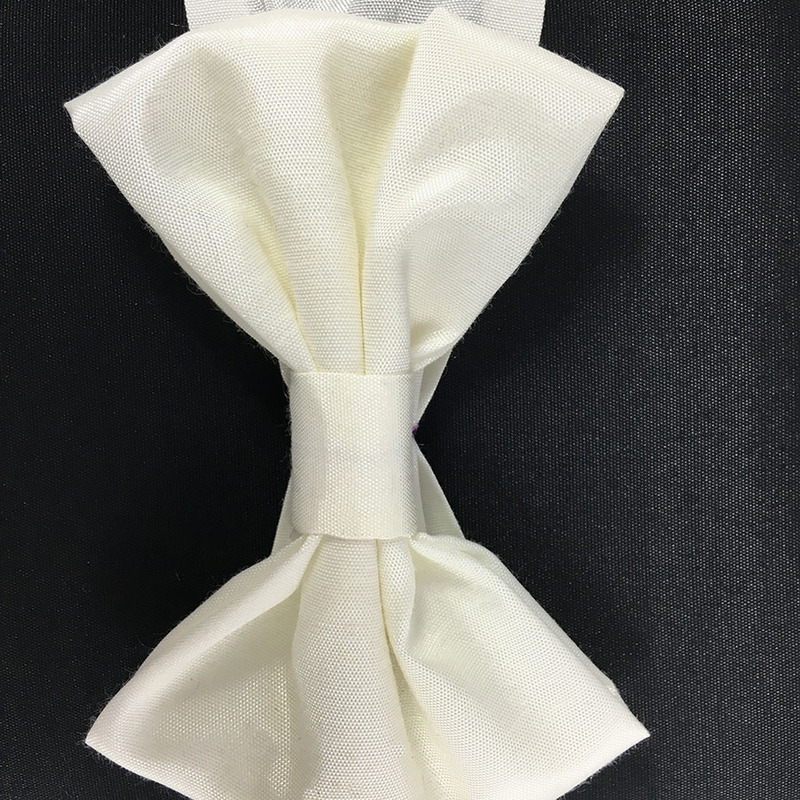 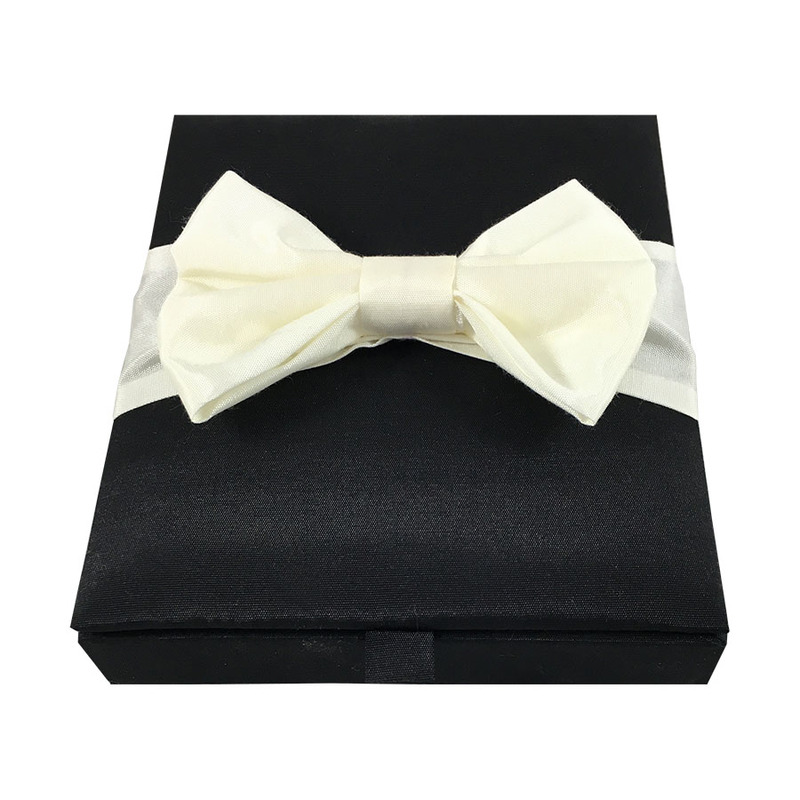 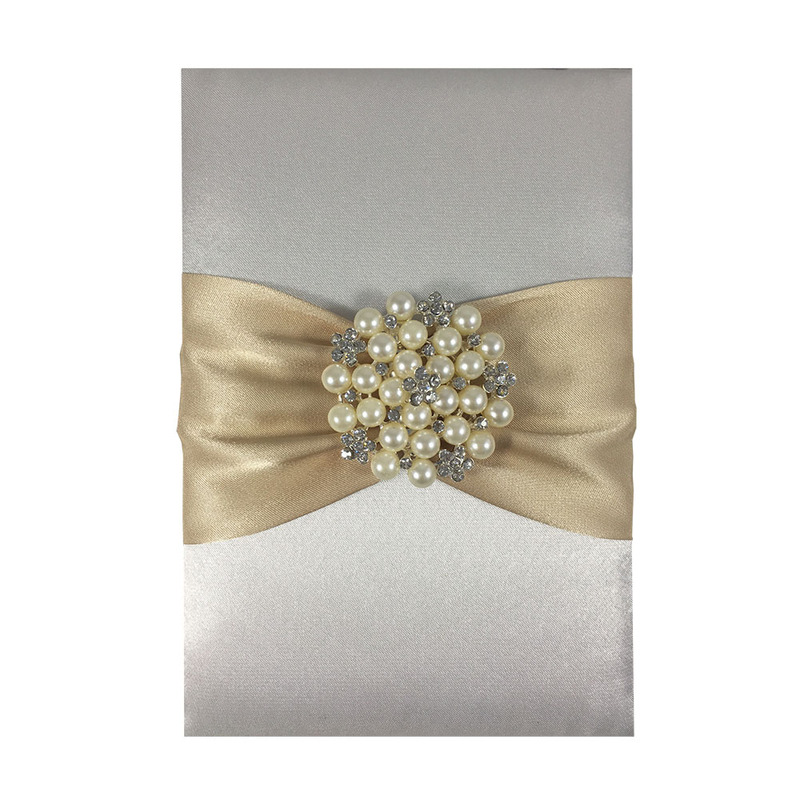 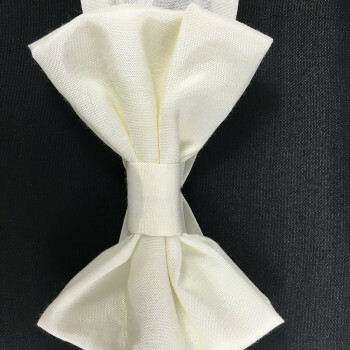 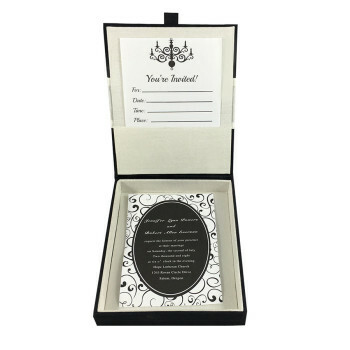 Man bow tie embellished invitation box in a small but cute format for invitation cards. 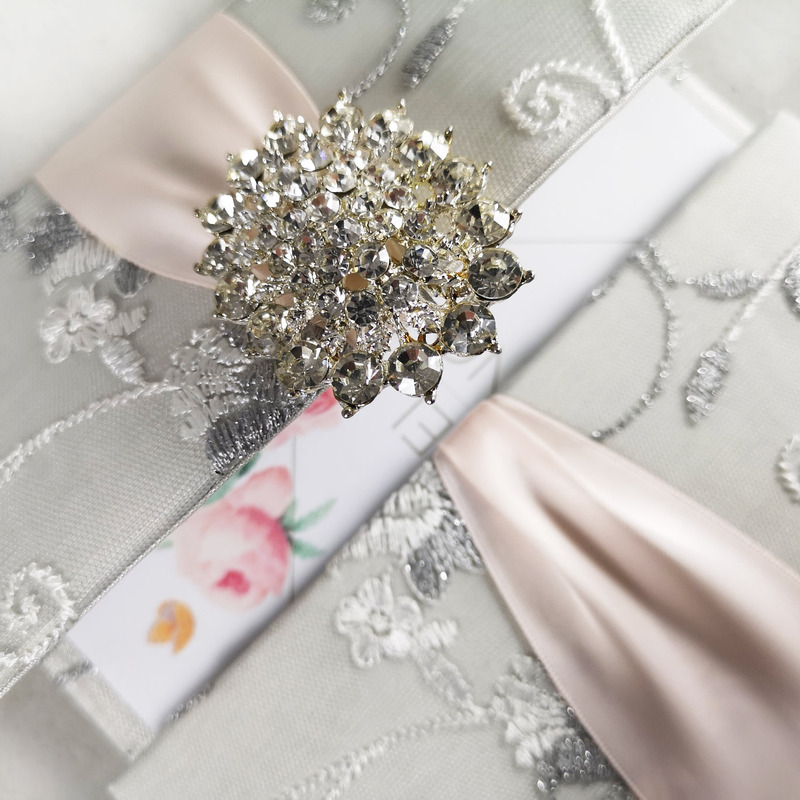 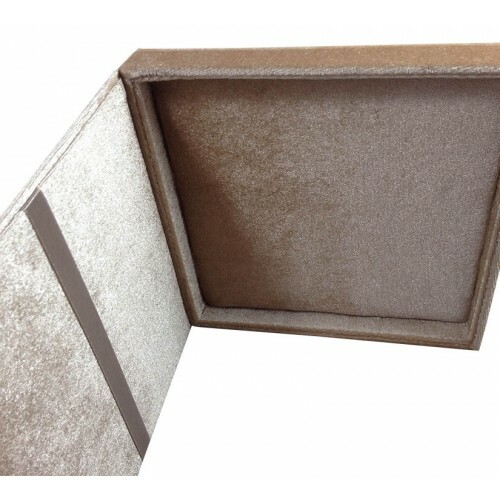 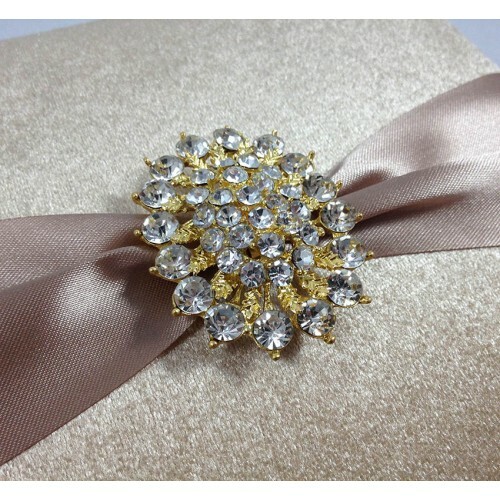 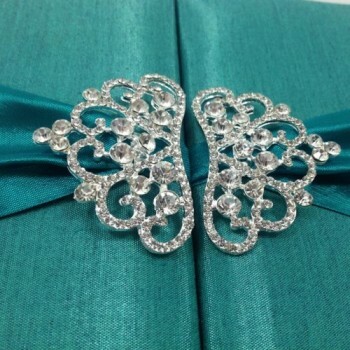 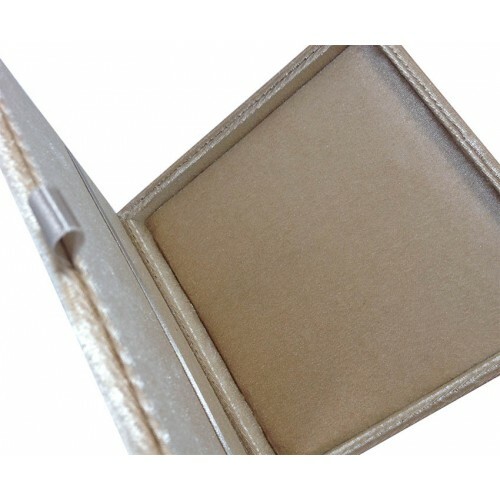 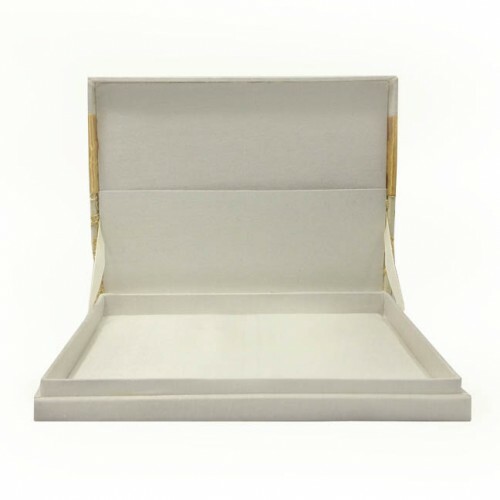 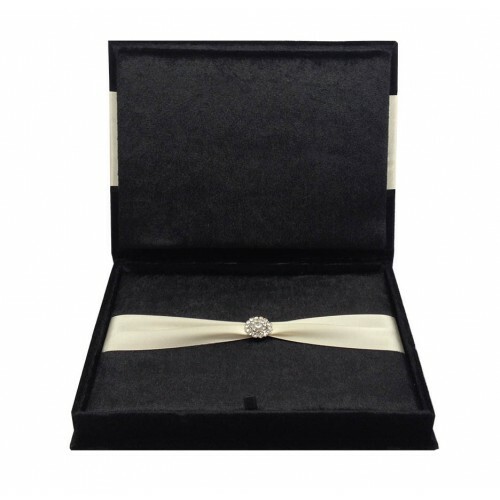 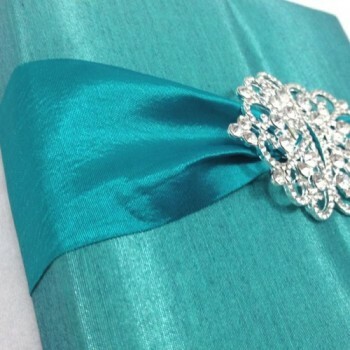 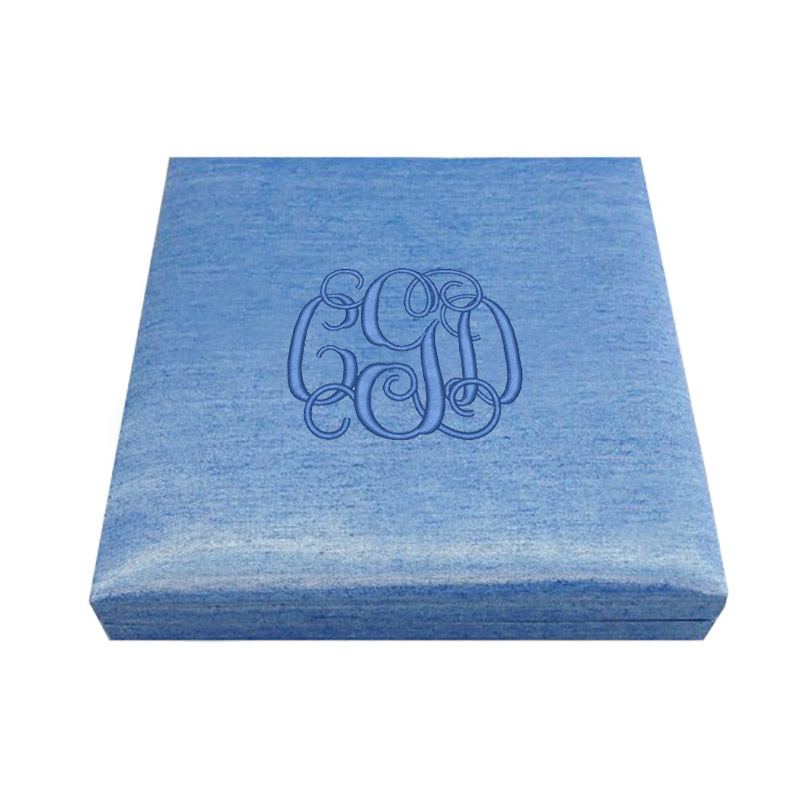 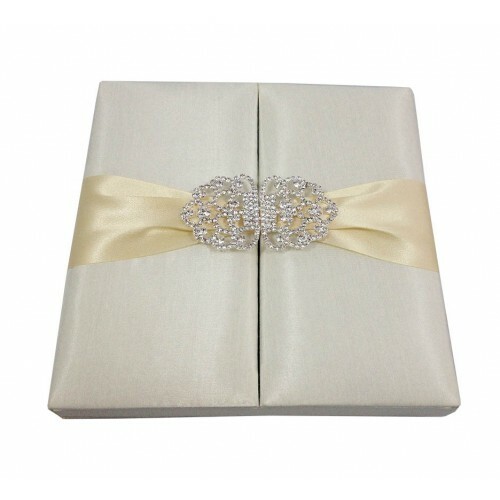 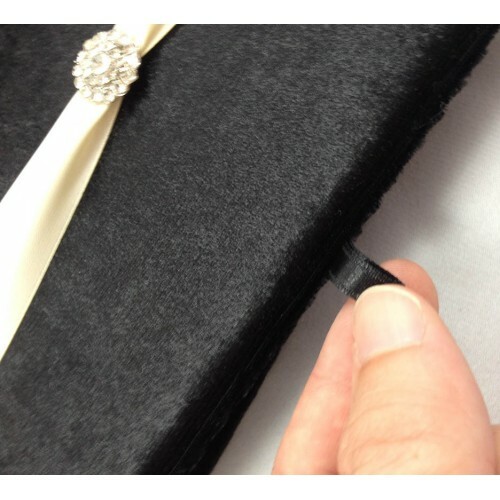 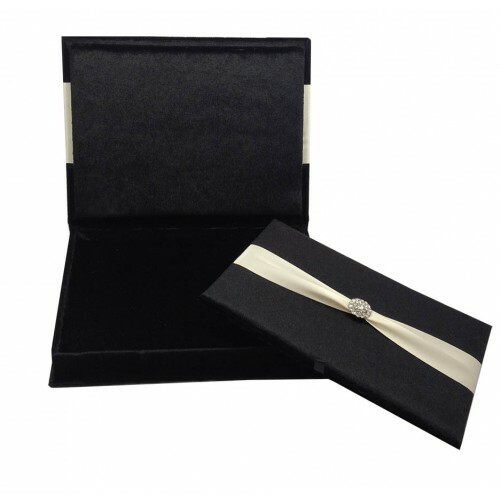 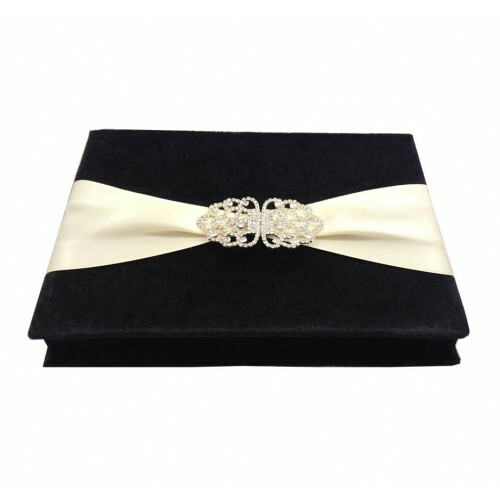 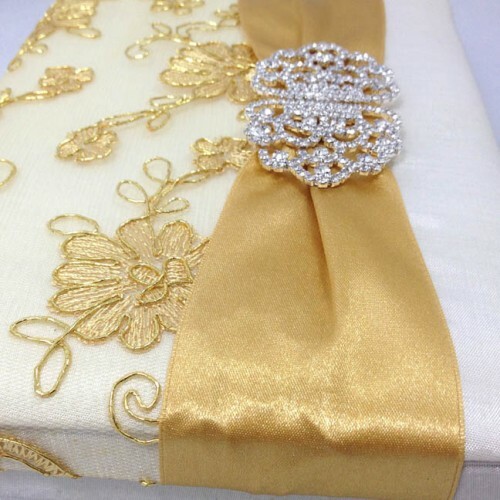 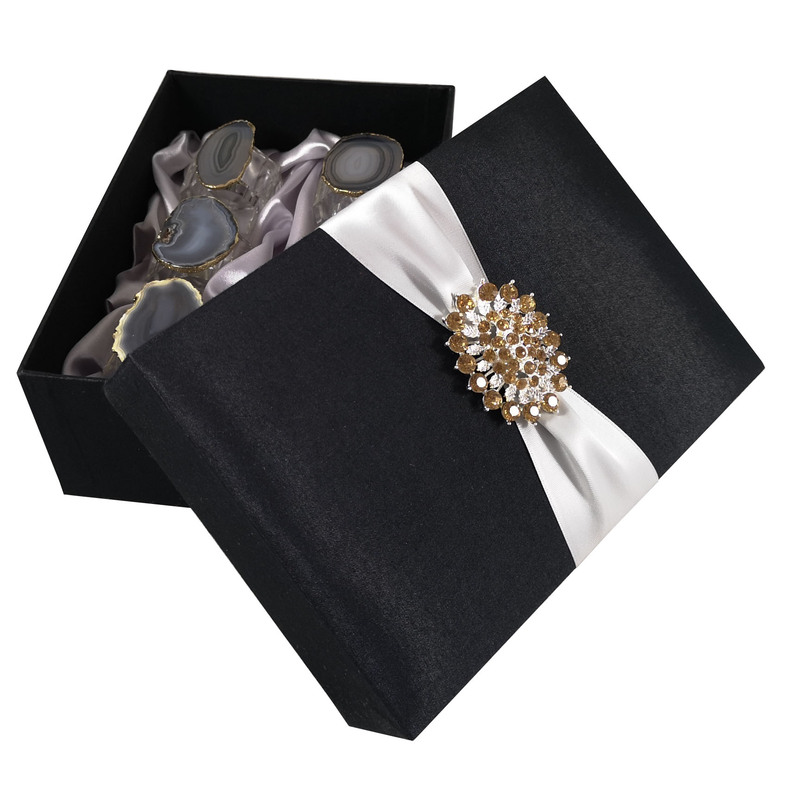 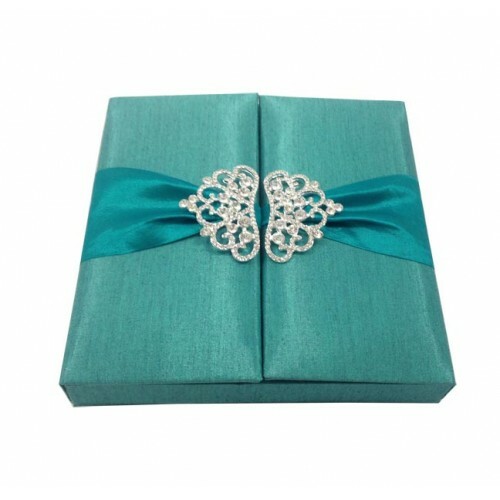 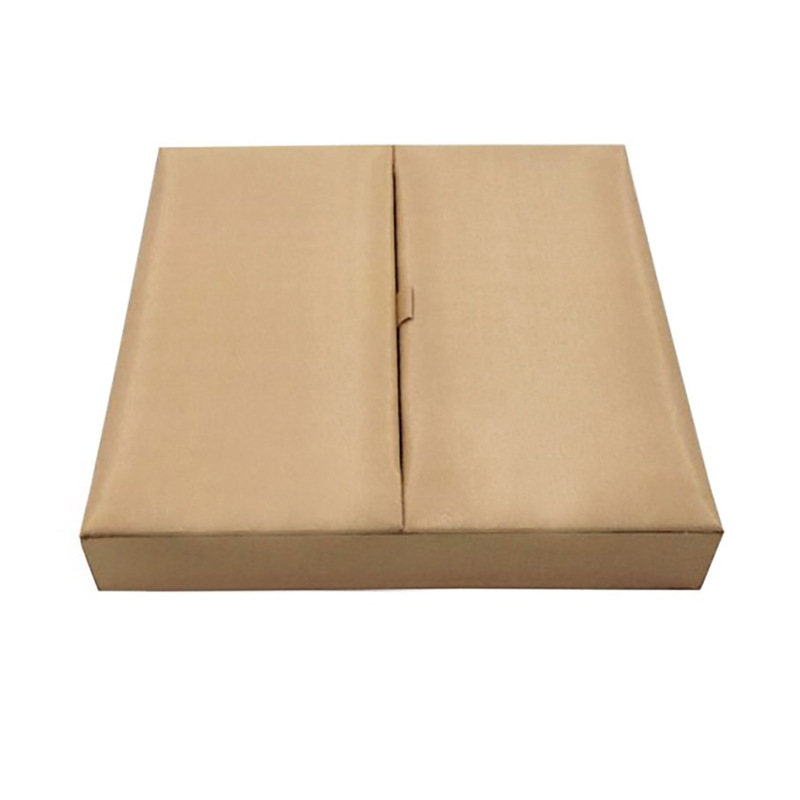 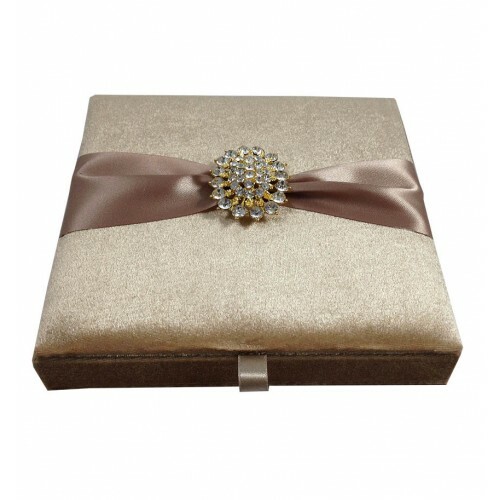 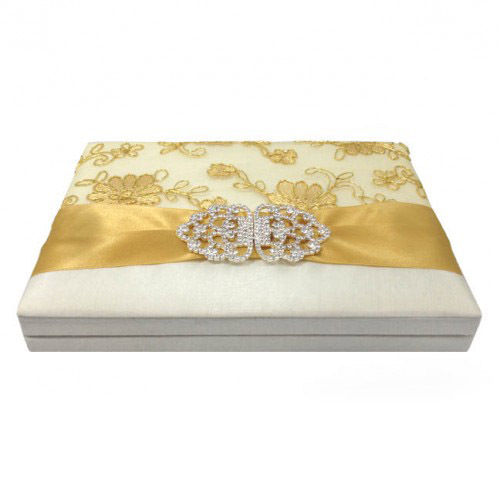 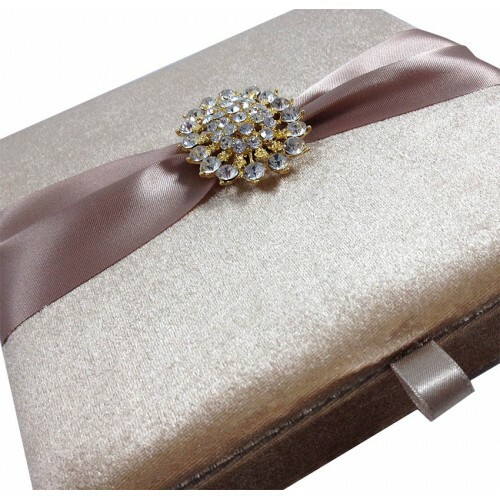 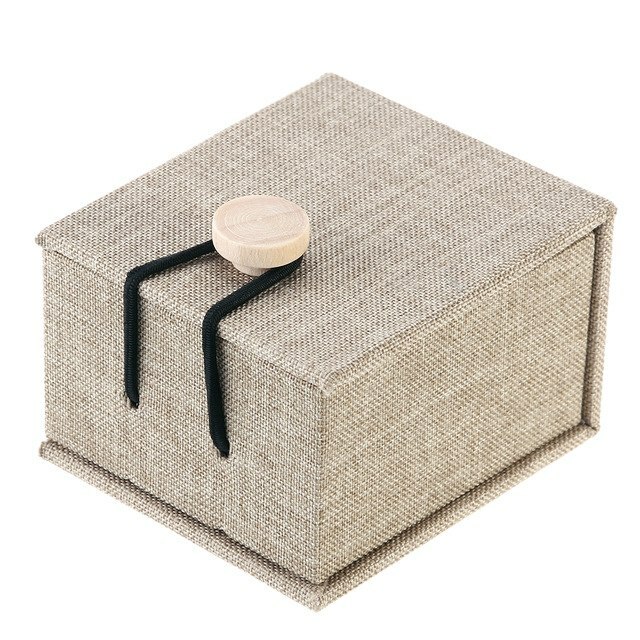 The box features a pocket behind the lid inside and a bow embellishment. We kept this design in two tone of ivory and black. 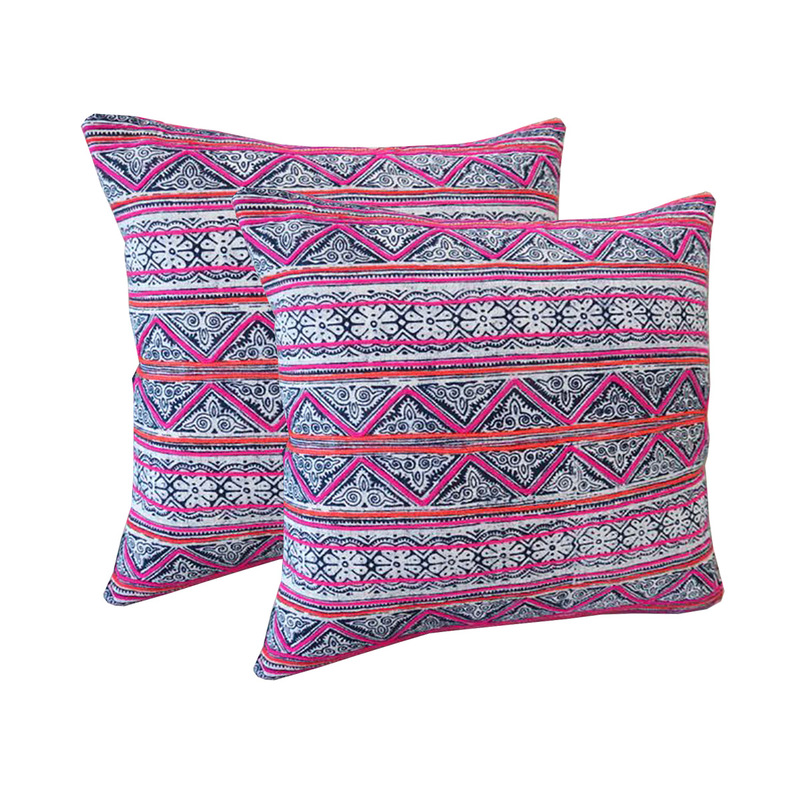 Fully handmade in our workshop, high quality guaranteed. 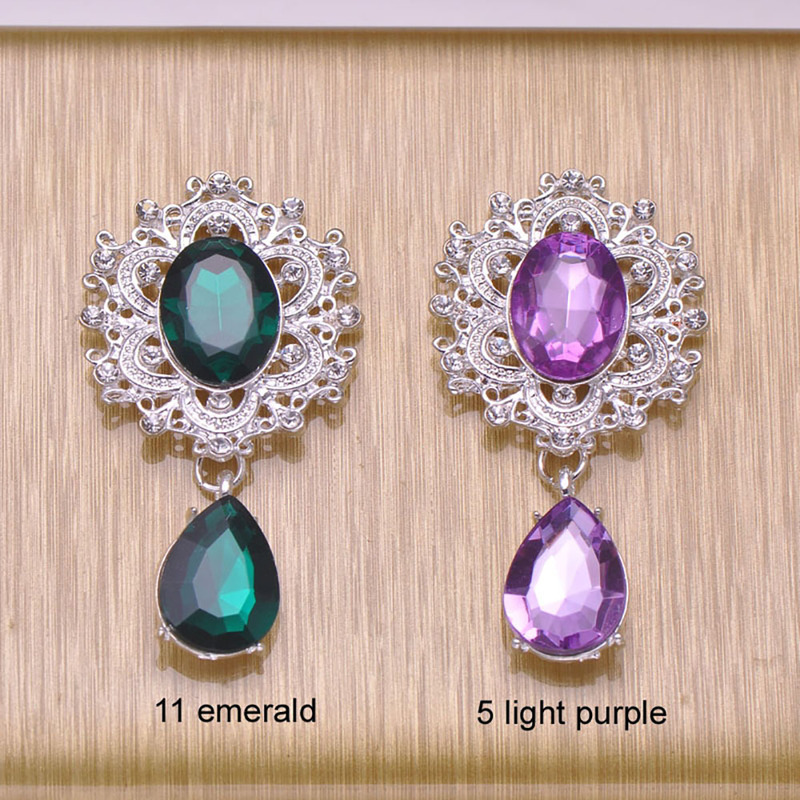 Custom size and color possible, contact for more. 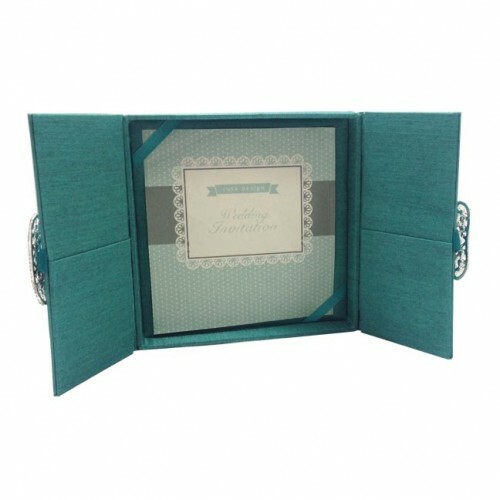 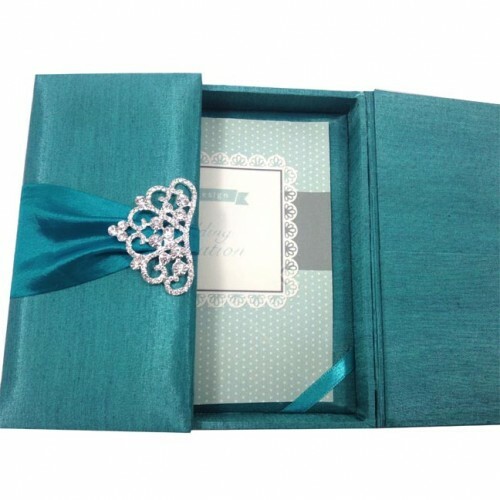 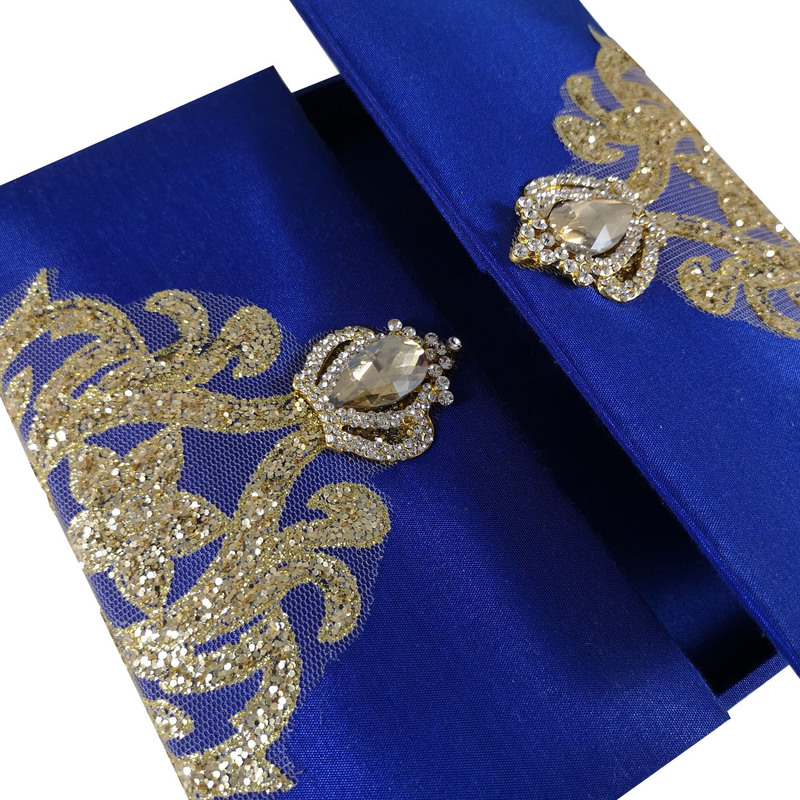 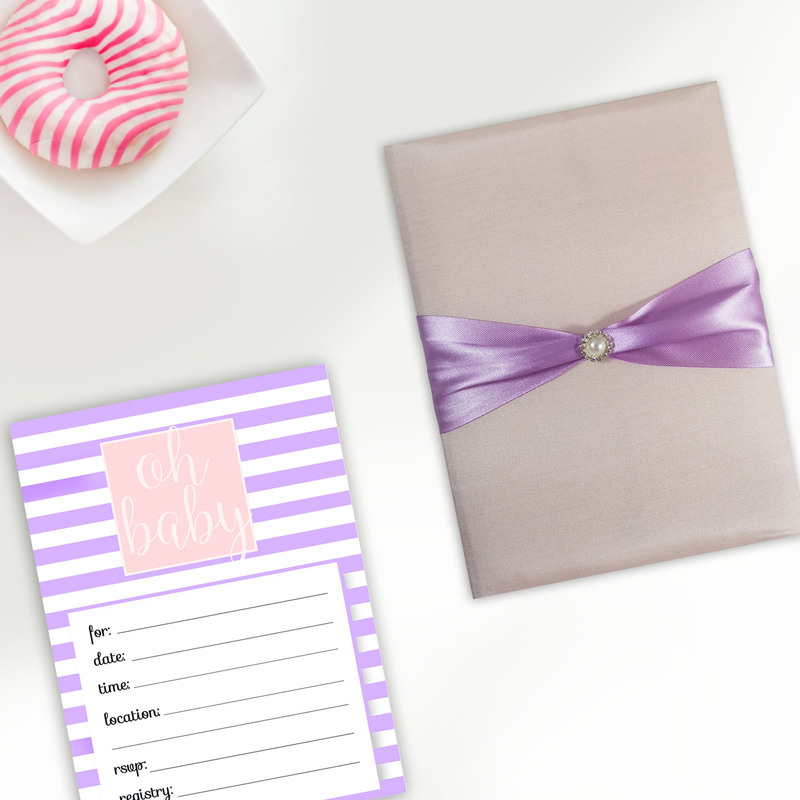 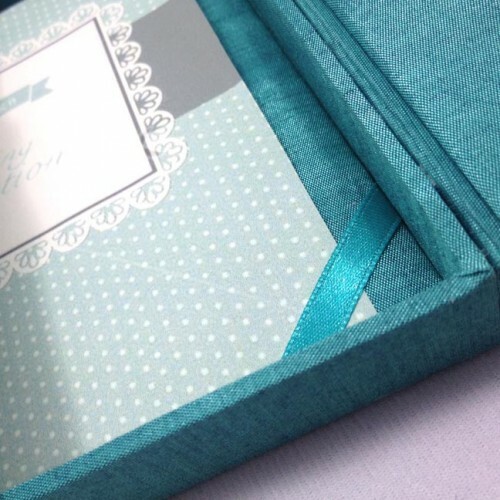 Usage: Luxury packaging solution for invitation cards for wedding, birthday, anniversary, baptism and much more.